These past few months have been pretty hectic for me and as a result, this blog had to take a back seat for a while. 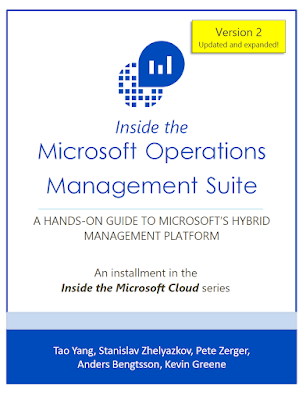 Along with the day job, presenting at conferences and some family vacation time, I've been busy working with the team on an updated release of the awesome 'Inside the Microsoft Operations Management Suite' book. The original release of this book was an essential 'must-have' for anybody working with Microsoft's Operations Management Suite (OMS) and it was a constant reference for me over the last year and a half while I tried to get my head around this new technology. As is always the case with cloud technologies however, things change at a drastic pace and an updated release of the original book was duly needed. This updated release provides readers with an end-to-end deep dive into the full range of Microsoft Operations Management Suite (OMS) features and functionality, complete with downloadable sample scripts. Keeping with the community spirit behind the first book, this release will be COMPLETELY FREE for download in E-Book format with the Kindle and Paperback versions coming to Amazon a couple months later. Keep in mind that the Kindle and Paperback versions will carry a nominal price to help cover production costs. Hopefully you enjoy reading this book and working through all the demos as much as we did and if you've any comments/requests, please ping them to the email address here. 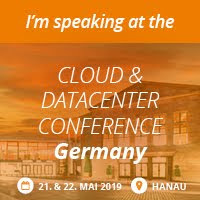 After a few weeks off work on vacation, it's back to full swing this week as I prepare to travel over to Berlin tomorrow for the awesome Experts Live Europe conference. Formerly known as System Center Universe Europe, this is one of my favourite conferences to present, network and learn at. If it's anything like last years event, then the week ahead is going to be a blast. I'll be presenting a session on Wednesday afternoon titled 'Monitoring...The Next Generation' where I'll be talking about some of the best new monitoring features available in the Microsoft space. Later on Wednesday, I'll be back on stage with my buddy Stefan Roth for an 'Experts Discussion Panel' titled 'Monitoring, Insights and Analytics'. For this panel, we're encouraging attendees to bring their questions and engage in conversations - which will hopefully give people some real technical value to bring back to their workplace. 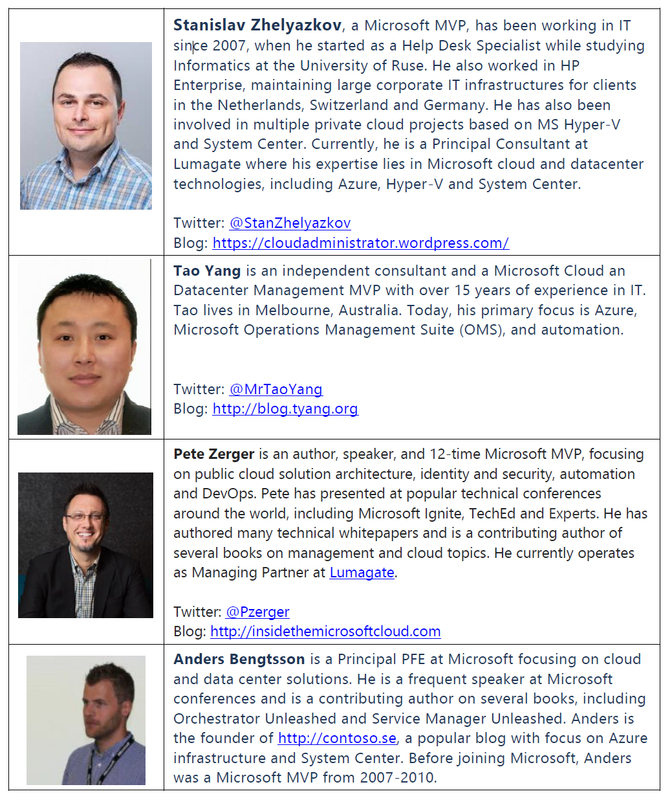 With close to 100 different sessions to choose from spanning topics such as Microsoft Azure, OMS, EMS, Azure Stack, System Center and Windows Server, there's something for everyone. 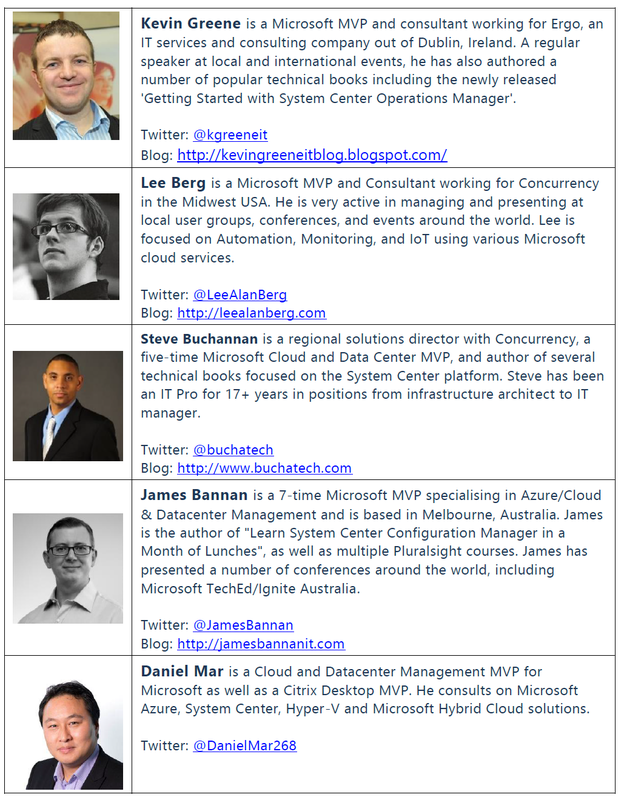 Check out the session schedule here. Looking forward to seeing everyone over there and make sure to drop in to one of my sessions and say hello!